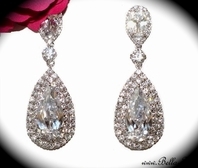 Libby - Elegant crystal drop vintage bridal earrings - SALE!! 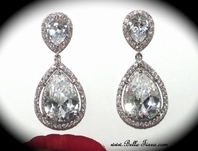 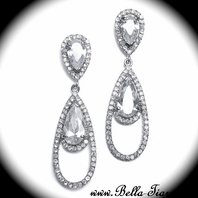 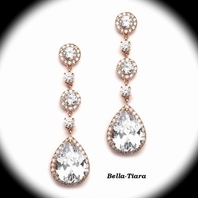 HOME / BRIDAL JEWELRY / Bridal Earrings / Libby - Elegant crystal drop vintage bridal earrings - SALE!! 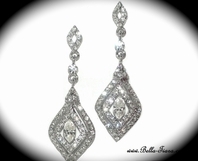 Description: These versatile earrings sparkle with exquisite silver plating and clear rhinestones, making the pair a beautiful addition to your special day. 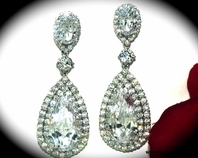 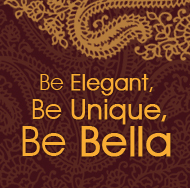 The perfect choice for your classic, modern, or vintage wedding. 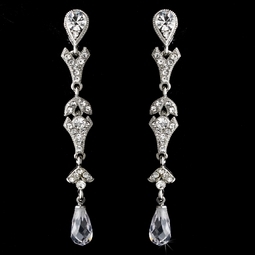 The earrings fall to a lovely 2 1/8".